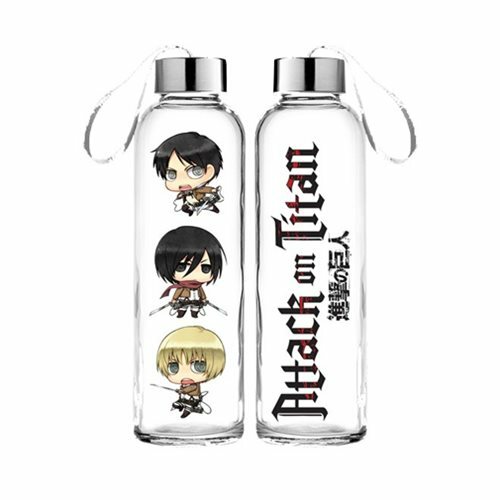 Shopping for Attack on Titan Water Bottles? Stay hydrated while fighting titans with this Glass Water Bottle! Made from thick glass, this bottle features the anime's logo on one side and chibi versions of Erin, Armin, and Mikasa. Drink up and go with this Attack On Titan Chibi Glass Water Bottle! Breakdown not available at this time. Hand wash only. Not dishwasher safe.